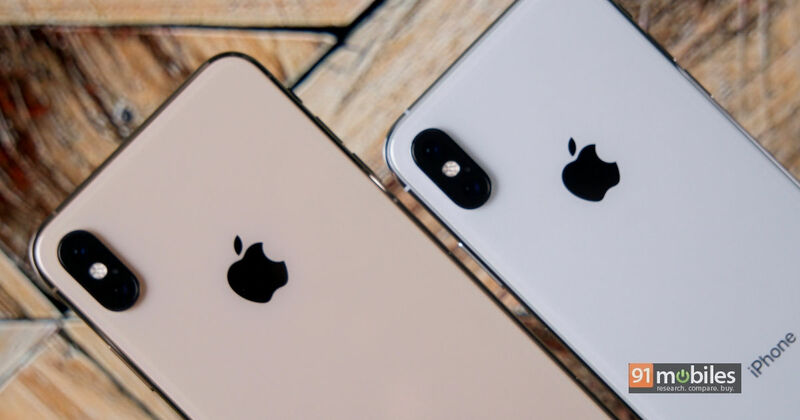 Cupertino, California-based tech giant Apple launched its newest iPhones – iPhone XS (first impressions) and iPhone XS Max (review) – amidst much fanfare last month, alongside the iPhone XR. While Apple introduced the latest crop of iPhones with the usual shebang of adjectives like bigger, better and faster, the released has been marred by a bug that affects the two smartphones when they are put to charge. The new controversy is being called ChargeGate, and came to the fore when multiple iPhone XS and iPhone XS Max users reported that their handsets refused to charge when connected to the lightning charger. In the iOS 12.0.1 update that has recently been rolled out, Apple acknowledges the issue and claims to have fixed the bug that caused it. The issue was first reported on the official Apple Discussion forum by several users. Apparently, several iPhone XS and iPhone XS Max were behaving strangely when connected to the charger. Users would connect the smartphone to the charger overnight, only to wake up to same battery level as the night before. However, some users reported that if you wake up the display of the iPhone after connecting the charger, it will start charging. The logical explanation for this issue was that the deep sleep mode of iOS 12 was somehow messing with the charging. However, this appears to be strange since the issue was spotted in only a handful of iPhone XS and XS Max and not all. Popular YouTuber Lewis Hilsenteger of the Unbox Therapy channel took it upon himself to check the gravity of the issue. The video published by the channel shows Hilsenteger performing the charging test on a number of iPhone XS and XS Max. The test confirms the issue pointed out by the users on the forum. However, the YouTuber also pointed out another grave issue – one of the iPhone XS Max units under testing completely froze and did not wake up at all when connected to the charger. This means that some of the affected iPhones are not charging at all since the only workaround to get them to charge was to wake the screen up. Apple didn’t officially respond to these allegations, that is, until now. As mentioned above, the iOS 12.0.1 update details the issue and brings a fix for it. The first pointer in the changelog says, “Fixes an issue where some iPhone XS did not immediately charge when connected to a lightning cable”. Along with this, the update also resolves an iPhone XS bug that causes the smartphone to rejoin a Wi-Fi network at 2.4GHz instead of 5GHz. Other bugs fixed with the new update include an issue that can cause Bluetooth to become unavailable and an issue that doesn’t let subtitles appear in certain video apps.